If you have not read Bill Bryson’s books, then you should. Perhaps a strange way to begin this week’s review of Bill Bryson’s A Walk in the Woods (ISBN 0-552-99702-1, Black Swan Books 1998), but it is a simple truth. 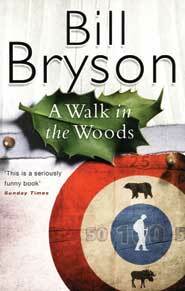 Bryson is one of the best narrators in the business, in a somewhat Jeremy Clarkson mold (or perhaps it is the other way around), and when I found one book I must have missed before on the Bookazine shelf, I took it before it could escape. I didn’t care if price was B. 450. It was a Bryson. However, it is much more than that. Bryson is a natural teacher, with the ability to weave interest into almost any subject (read a Short History of Nearly Everything if you require confirmation) and skillfully introduces everything from Botany to Paleontology as he and his companion Katz walk along the trail, known by its acronym AT. For example, Bryson will teach you about black bears and grizzly bears and the relationship to Snickers bars and about three hundred species of mussels, of which half are endangered and the rest are dying out. And in the middle of the lesson, Bryson will fire a salvo at the Park Services which has allowed this to happen. A wonderful book from one of the best story tellers in the business. Get it! Laughter guaranteed. 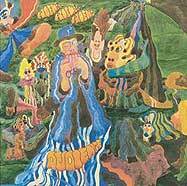 When ‘Audience’ arrived on the rock scene in 1969 they had to create a whole new category of music so that they could be conveniently pigeonholed; their sound was thus labelled ‘Art Rock’. The band’s influence over the years could never have been imagined at the time. Their line-up defied the norm for a rock band, with a nylon strung acoustic guitar, saxophone, flute, and a more conservative back line of bass and drums, with Howard Werth’s unique vocals. When Tony Stratton Smith approached them with a view to joining Charisma Records, the band was given masses of studio time and allowed to go to work on their debut Charisma recording. Howard Werth, he of the unique throat and nylon strung guitar, could certainly write a very memorable tune. Keith Gemmell was without a shadow of a doubt the finest reedman of the era; Trevor Williams, although short of stature, was positive proof of the old adage that good things come in small packages, and is the rock edge to balance out the other’s jazz and folk leanings. Whilst behind the drum kit was Tony Connor who, in the tradition of all great drummers, had a great sense of humour as well as a huge sense of adventure. His live drum solos were always a highlight of the set. All of Audience’s sides are finely displayed on this recording. Friends, Friends, Friend starts off with three fine ditties written mainly by Howard Werth with assistance from Trevor Williams. ‘Nothing You Do’ is a perfect opener a song of hatred that really musically slams you up against the wall from the outset, coming as quite a shock with Werth’s snarled vocals and bitter chorus. The rhythm section is rock solid as Keith Gemmell makes his saxophone pace alongside the vocals until slowing everything down mid song for a solo, before closing out the song on the flute. A startling introduction. This is followed by ‘Belladonna Moonshine’ with Howard Werth showing off some mandolin playing. Why this song was not released as a single at the time is beyond me. ‘It Brings A Tear’ is a classy early seventies ballad. Then everything is musically sat up on its head with the first jamming jazz rave up, the nearly nine wonderful minutes of ‘Raid’. This is where ‘Audience’ shows off their musical muscle. With Werth’s vocals pitched in a very aggressive manner, ‘Raid’ takes off at a gallop, as the lyrics rant about the Vikings, but this is really just an excuse for Keith Gemmell to puff out his cheeks and give at a good old fashioned rip up on the saxophone. Mid section the band’s jazz influences are given full reign in a freefall improvisation which allows each member of the band to let their freak flag fly. It does take a bit of getting used to, but once you get there it is well worth the journey. ‘Right On Their Side’ is another stomping protest song, really quite stirring stuff. Completely changing the tone, you are next treated to an instrumental A’ la Audience, as everything including I should think the kitchen sink is rattled or hit or shaken as the band obviously has the time of their lives giving out this very jovial turn round the pots and pans with Keith Gemmell given scope to play solos over the top of it all. You cannot help but tap along with a smile on your face. The band then roars into ‘Priestess’, the centre piece of their live set at the time; another tale of daring do, with a very up-tempo beat. Keith Gemmell introduces the saxophone to the world of hard rock. ‘Priestess’ is how Black Sabbath would have sounded if Toni Iommi had played the Saxophone, not the electric guitar. The title track is a beautiful song about life, which has the splendid lyric “I had a friend, who had a friend who knew a man, who didn’t look unlike Toulouse Lautrec...” They just do not write lyrics like that anymore. Tacked onto the end of the CD release is a bonus track of ‘The Big Spell’ which has been left in its mono recording, but quite honestly should have been left off, as it does not add anything to this collection. Although all the songs are of excellent quality, and the musicianship excellent, the band was allowed to produce the recordings themselves. This was perhaps a mistake, as a crisper production would have given the whole collection a better sheen. Charisma showed their naivety in allowing the band too much freedom, a mistake that was not repeated when the band returned to the studio the following year under the production guidance of Gus Dudgeon to produce their masterpiece ‘The House on the Hill’ (1971). When this did not produce the expected commercial success, the band lost its focus, producing one more album, the rather unsatisfactory ‘Lunch’ (1972) before disbanding to pursue other projects. Howard Werth had a reasonably successful solo career, Keith Gemmell formed ‘Sammy’ which quickly folded, and he then pursued a highly lucrative session career, which was the path also followed by Trevor Williams whose bass playing crops up on many albums, including those by Jonathan Kelly. Tony Connor joined ‘Hot Chocolate’ where he occupies the drum kit to this day.